North Coast residents get excited for the season’s first significant rain for a variety of reasons. Some just love the rain and for others, it’s the start of the holiday season. Others love the idea of bringing new life to our forest floors and home gardens. For anglers, the first big rain means something completely different. To us, it means big, bright king salmon charging from the salt water of the Pacific Ocean into our coastal rivers. With some very large storms looming on the horizon, the Eel, Mad, Smith and Chetco will see the season’s first large push of kings pouring in as the rivers begin to rise later this week. With that, you can bet every drift boat owner on the North Coast and Southern Oregon is keeping a careful eye on the Smith River water levels. The mouth of the Smith and the estuary have been giving up a few salmon, but the action will really get going now that the main stem will open above Rowdy Creek. When the first big rain hits and the river rises, the salmon will be on the move. Your best bet is to find their traveling lanes and try to intercept them, basically cutting them off at the pass. For the first few days, Kwikfish will be the bait of choice as they trigger a reaction bite from the moving fish. As the water levels drop, the salmon will slow down and find deeper holes to hold in, waiting for the next influx of water. Once this happens, back bouncing bait will be the ticket. Game on…. The North Coast is looking at three powerful systems that will bring large amounts of rain between Thursday and next Tuesday according to Reginald Kennedy of Eureka's National Weather Service. “Following light rain during the day on Thursday, the first big system will hit that evening. Showers will continue through Saturday morning, with the next big storm hitting on Saturday afternoon. More showers are in store through Sunday night when the next system will hit land. Expect light showers on Monday, with rain tapering off on Tuesday. Rainfall totals for Smith basin from Thursday through Tuesday could will be around 12 inches. In the Mad River basin, the hills could see up to 10 inches with the low-lying areas seeing up to six inches. Up to seven inches will likely fall in the higher elevations of the Eel basin, with roughly six inches falling on the lower river. So far, next week is looking dry from Wednesday through the weekend,” Kennedy added. For current river conditions, visit cdec.water.ca.gov/river/rivcond.html. On Monday, the Fish and Game Commission gave notice of proposed extension of existing emergency regulations, establishing emergency closure of the recreational razor clam fishery due to elevated levels of domoic acid. The objective of this re-adoption is to protect the public from consuming razor clams caught in areas with persistently high levels of domoic acid that pose a risk to public health as determined by the director of the Office of Environmental Health Hazard Assessment in consultation with the director of the California Department of Public Health. The Commission initially adopted the emergency regulations on April 25, 2016; the emergency regulation will expire on October 25, 2016. The Commission is expected to adopt the proposed 90-day extension on October 19, 2016. The proposed 90-day extension of emergency action is the same as the emergency regulation adopted by the Commission April 25, 2016. 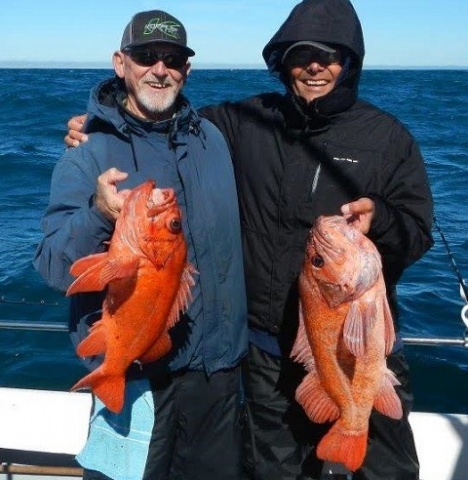 Captain Tim Klassen of Reel Steel Sport Fishing has been running trips to the Cape when the weather has allowed. “The fishing was excellent on Sunday, we caught some nice vermilions and lings. With the weather coming, it might be awhile before we can get back down there, but I do plan to fish through the end of the month.” Klassen added. The Checto is forecasted for a big rise, reaching 3,555 cfs on Saturday before going up and over 12,000 cfs by Sunday afternoon. The river should drop to a fishable level next Wednesday or Thursday according to guide Andy Martin of Wild Rivers Fishing. “It will clear a little faster than normal since the ground isn’t saturated,” added Martin. As of Wednesday, the Smith is predicted to peak at roughly 9,000 cfs mid-day on Friday following Thursday’s storm. It’s forecasted to drop until Saturday afternoon and should be somewhat fishable. Saturday and Sunday’s systems will put it back on the rise and it will eventually peak very early Monday morning at nearly 26,000 cfs. Look for some good fishing from Tuesday on. The storms will blow out the Klamath starting sometime late Thursday. Fishing had been slow, but the extra flows should finally blow out the mouth allowing the last of the kings to come in. The Coho should make a showing as well. Guide Steve Huber of Steve Huber Guide Service reports the Upper Trinity is currently clear, but that’s about to change. 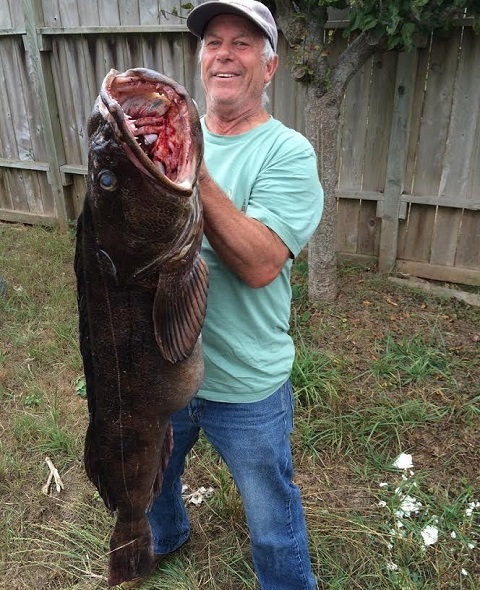 “The weather coming is only going to help our fishing. We should see the last push of salmon move up, and I’m expecting the steelhead action to be really good. 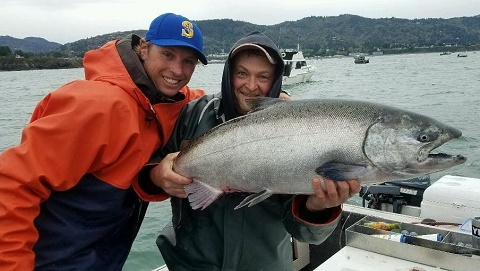 Most of the steelhead have been sitting below Junction City waiting for water, so hopefully they’ll be on the move now with the extra flows,” said Huber.